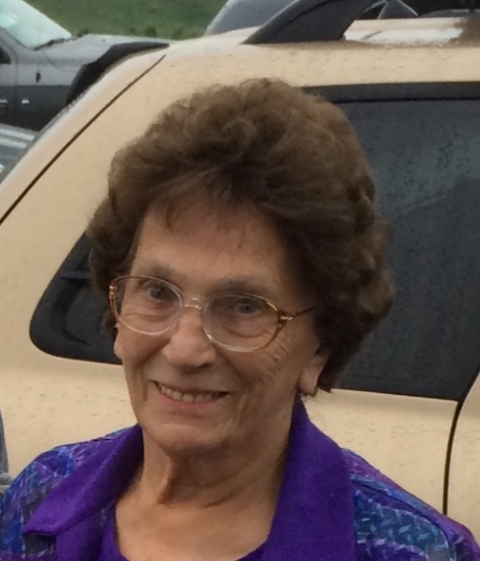 Nancy Rebecca Johnson, 82, of Tunnelton, passed away Friday, January 18, 2019 at her home with loving family by her side. She was a loving mother, grandmother, sister and homemaker. She was a member of St. Sebastian Catholic Church, a volunteer for Hope House and was president of the PTA while her children where in school. She was a great cook and loved to bake cakes. She also enjoyed gardening and camping with her family at Smoke Hole. She is survived by her sons, Gerald Lee Johnson; Perry Johnson and wife, Vicky; Larry Johnson and wife, Patricia; David Johnson and wife, Bonnie; Thomas Johnson and wife, Linda; Tony Johnson and wife, Sherry; Phillip Johnson; Louis Johnson and wife, Brenda and Kenneth D. Johnson; three brothers, William K. Childers and wife, Georgia; George E. Childers and Emery Childers and wife, Gail; grandchildren, Gerald Johnson II and wife, Wendy, Tammy Corley and husband, Will, Michelle McCauley, Kristy Johnson and companion, Jim Garltic, Angela Jones and husband, Joe, Laura Wigley, James Raines and wife, Dena Loos, Tai Johnson and husband, Jake Dolence, Larynn Shaffer and husband, Shawn, Christopher Johnson, Jenenessa Johnson and companion, Bill Harrison, Stormy Matlick, Windy Miller, T. J. Johnson, Shalee Shumiloff and husband, Scott, Jason Johnson and wife, Amanda, David Yates and wife, Crystle, Keith Yates, Crystal Johnson, Tim Johnson, Tori Jones, Amanda Jones, Tyler Jones, Bradley Johnson and wife Yvonne, Nicole Knotts and husband, Virgil, Zackary Johnson, Misty Dean and husband, Greg and Brandon Johnson; 42 great-grandchildren, 6 great-great grandchildren and several nieces, nephews and cousins. She was also preceded in death by her husband, Bobby Lee Johnson in 2008; her son, Timothy Johnson; her brother, John Childers and her sister, Christine Hodgkins. Friends may call at the Browning Funeral Home in Kingwood on Monday, January 21 from 6-8 pm and on Tuesday, January 22 from 2-8 pm where a Wake service will be held at 7:30 pm. On Wednesday, January 23, 2019 a Mass of Christian Burial will be held at 11 am in St. Sebastian Catholic Church in Kingwood with Father Andrew Switzer as celebrant. Interment will follow in the Childers Memorial Cemetery. In lieu of Flowers donation may be made to the Summer Home Repair Program in Nancy memory; St. Sebastian Catholic Church 322 E. Main St. Kingwood, WV 26537.